“Mysterious bursts of radio waves originating from billions of light years away have left the scientists who detected them speculating about their origins. The international research team, writing in the journal Science, rule out terrestrial sources for the four fast radio bursts and say their brightness and distance suggest they come from cosmological distances when the Universe was just half its current age. The burst energetics indicate that they originate from an extreme astrophysical event involving relativistic objects such as neutron stars or black holes. Study lead Dan Thornton, a PhD student at England’s University of Manchester and Australia’s Commonwealth Scientific and Industrial Research Organisation, said the findings pointed to some extreme events involving large amounts of mass or energy as the source of the radio bursts. The team, which included researchers from the UK, Germany, Italy, Australia and the US, used the CSIRO Parkes 64metre radio telescope in Australia to obtain their results. The researchers say their results will also provide a way of finding out the properties of space between the Earth and where the bursts occurred. 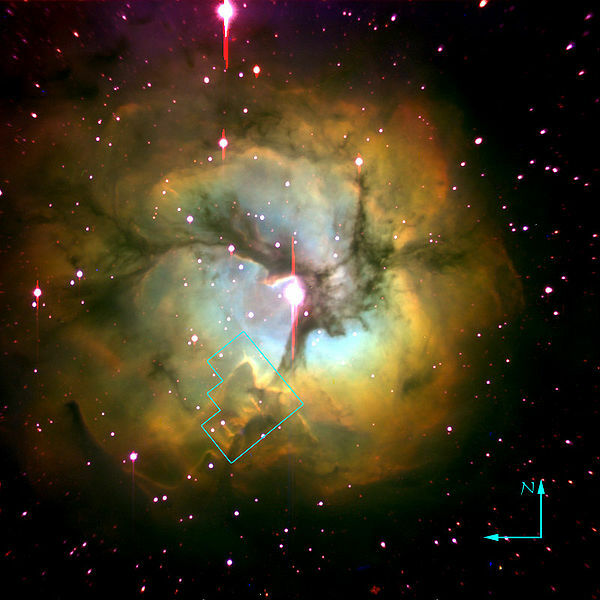 Credits Subaru Telescope (NAOJ), Hubble Space telescope, ESA,NASA, Martin Pugh; processing by Robert Gendler. “A team of astronomers at Jodrell Bank Observatory have begun the deepest ever high-resolution radio imaging of the region around the Hubble Deep Field (HDF), the images originally captured by the Hubble Space Telescope (HST) in the mid 1990s. The HDF led to the discovery of numerous galaxies billions of light years distant and provided direct visual evidence of the evolution of the Universe. 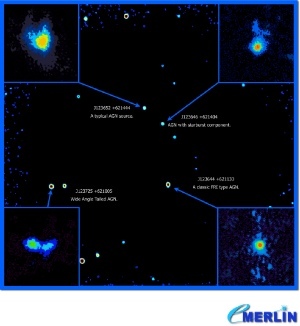 First results from the new imaging, which uses observations from the UK’s newly upgraded e-MERLIN radio telescope array together with the EVLA radio array based in New Mexico, show galaxies some 7 billion light years away in unprecedented detail. e-MERLIN is an array of radio telescopes distributed across the United Kingdom connected together by optical fibres. Data from each telescope is sent across this network to Jodrell Bank where a device known as a ‘correlator’ processes them into a single image. This technique, known as interferometry, simulates a single radio telescope hundreds of kilometres across and produces exceptionally sharp images of astronomical objects. EVLA is a similar more compact array in New Mexico in the United States that shows the coarser structure of objects and complements the e-MERLIN observations. The two arrays started to survey the HDF region in 2011 and the team expect the project to be completed in the next few years. The first wide-band images of the whole HDF region capture the brightest objects in the field at sub-arcsecond resolution, equivalent to being able to distinguish a ten pence piece at a distance of over 5 kilometres. 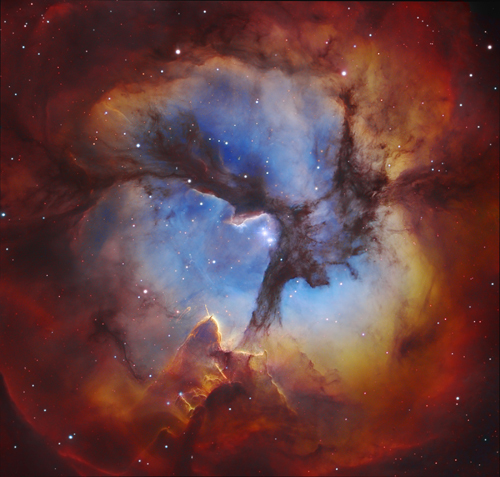 The pictures were assembled by Mr [Nick] Wrigley under the supervision of Dr Rob Beswick and Dr Tom Muxlow at the Jodrell bank Centre for Astrophysics in Manchester. The image in the background, observed using the EVLA, shows the unresolved emission from whole galaxies, whereas the inset images produced using mapping in combination with e-MERLIN show the fine detail. 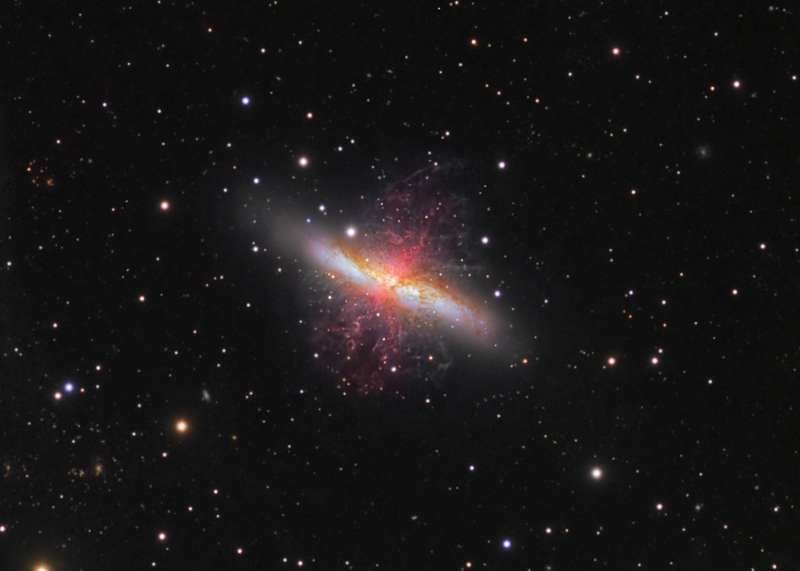 Astronomers at The University of Manchester believe they have found the answer to the mystery of a powerful superwind which causes the death of stars. 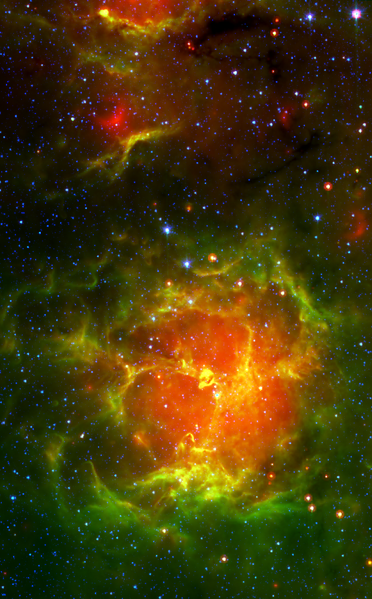 Writing in Nature, the team of researchers used new techniques which allowed them to look into the atmospheres of distant, dying stars. The team, lead by Barnaby Norris from the University of Sydney in Australia, includes scientists from the Universities of Manchester, Paris-Diderot, Oxford and Macquarie University, New South Wales. 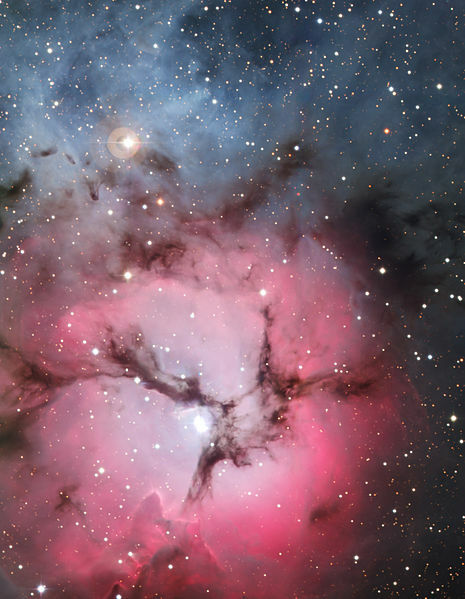 They used the Very Large Telescope in Chile, operated by the European Southern Observatory. Stars like the Sun end their lives with a ‘superwind’, 100 million times stronger than the solar wind. This wind occurs over a period of 10,000 years, and removes as much as half the mass of the star. At the end, only a dying and fading remnant of the star will be left. The Sun will begin to throw out these gases in around five billion years. The cause of this superwind has remained a mystery. Scientists have assumed that they are driven by minute dust grains, which form in the atmosphere of the star and absorb its light. The star light pushes the dust grains (silicates) away from the star. However, models have shown that this mechanism does not work well. The dust grains become too hot, and evaporate before they can be pushed out.